First published in the United Kingdom in 1997. Reprinted in 2007 with major revision and expansion of General Bibliography. Ion is generally regarded as one of Euripides’ most attractive plays. A skilfully organised plot, charming characters, exciting situations and thought-provoking themes make it an excellent introduction to the study of Greek drama generally and of Euripides in particular. 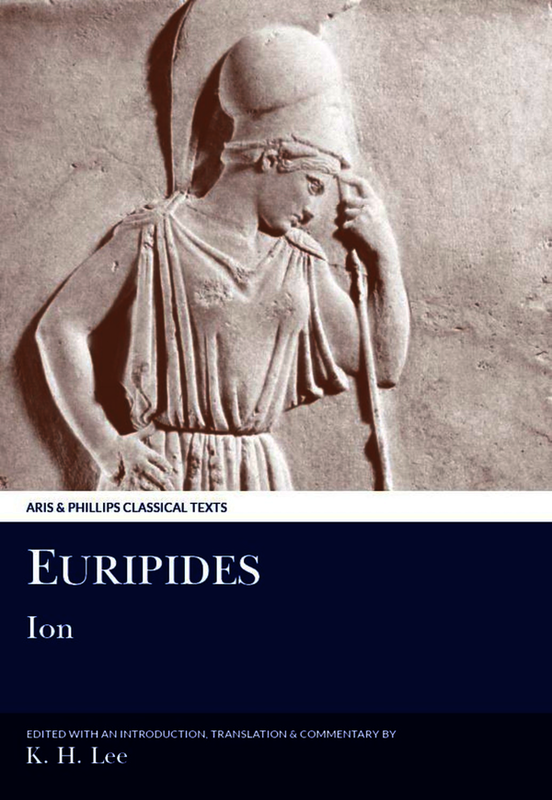 The introduction deals with Euripides’ adaptation of the myth of Ion, his treatment of the theme of autochthony and his attitude to the seemingly licentious behaviour of Apollo. There is also a discussion of the play’s date, its structure, form and language. The commentary is designed to encourage students to read the play in a responsive way and to pay attention to matters of form, language and dramatic technique. Greek text with facing-page English translation, introduction and commentary. Parallel-text edition of Euripides’ play Ion. Greek text, with facing English translation, introduction and commentary. †Kevin Lee was Professor of Classics at the University of Sydney. His publications include editions of Euripides’ plays Troades and Heracles, and (with Collard and Cropp) Euripides: Selected Fragmentary Plays Volume I in the Aris & Phillips Classical Texts series. †Kevin Lee was Professor of Classics at the University of Sydney. His publications include editions of Euripides’ plays 'Ion', 'Troades' and 'Heracles', and (with Collard and Cropp) 'Euripides: Selected Fragmentary Plays Volume I' in the Aris & Phillips Classical Texts series.